Ultra-fine soft-pile fibres provide deep cleaning action on passing footwear. Outperforms cotton, with superior brushing and wiping. High fibre density gives rapid drying properties. Static electricity within the fibres attracts dirt and debris. Entrances can become difficult to maintain in the sense of cleanliness, being high traffic areas can mean that a lot of dirt and moisture will be brought in by footwear which will soil your flooring. The best way to avoid this is by having a mat which is effective at absorbing moisture and dirt. 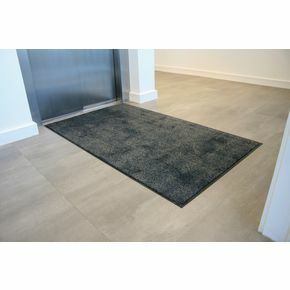 Our microfibre entrance mat is ideal for this task with ultra-fine fibres that provide a deep cleaning action on passing footwear. These mats outperform cotton as they give superior brushing and wiping to remove soiling off of peoples shoes and the capillary action increases absorbency to catch moisture. They are available in a choice of four backing colours; beige/black, dark grey/black, brown/black or purple/black. There is also a choice of two lengths; 900mm or 1500mm and two widths; 600mm or 900mm. 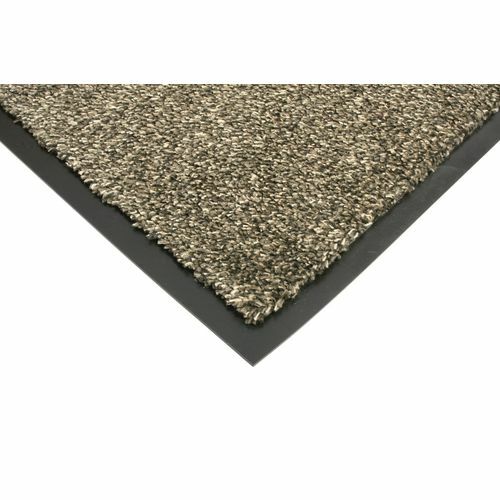 Our microfibre entrance mat is an effective way of protecting your flooring from dirt and moisture; they come with a 12 month guarantee and FREE UK Delivery.